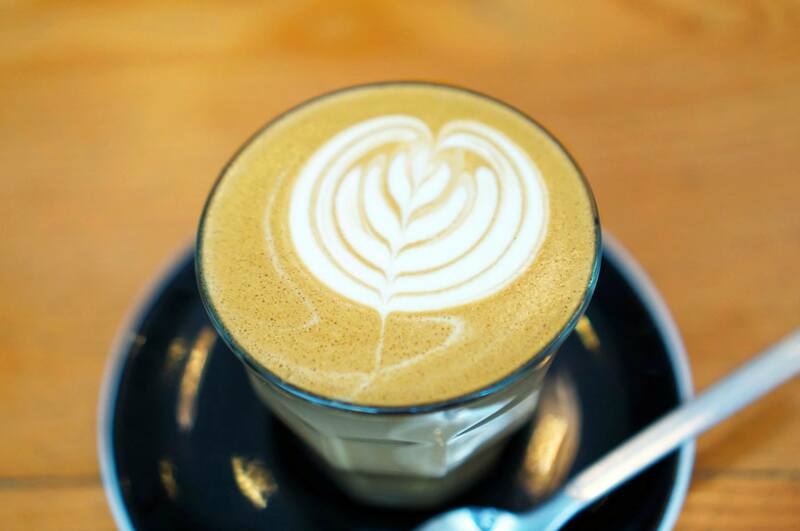 There aren’t a lot of great cafe choices towards the business end of the CBD but here and there you have a few small gems like Palomino Espresso. This cosy little cafe is just a minutes walk from Wynyard station and gets very popular in the morning and during lunch. The cafe doesn’t have a load of choices for food since it focuses more on coffee and light pre-prepared meals. 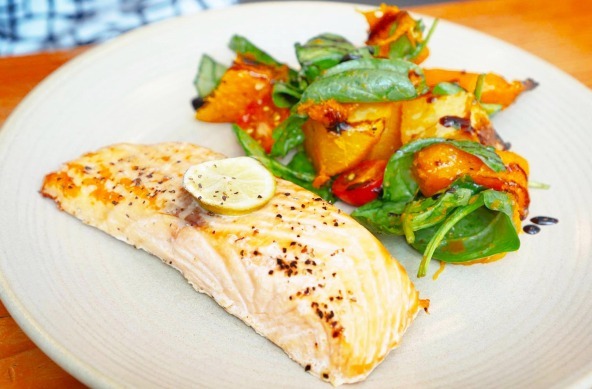 The choices they have on the menu are relatively healthy and the salmon was delicious. I actually really liked the choice of using daikon radish in a salad, I think it’s a better choice than potato! The stuffed eggplant actually turned out to be really good with generous amounts of cheese and stuffed ingredients. It’s a little small so I would probably get a salad as a side next time but since I wasn’t that hungry it was just right this time round but probably won’t be for a full lunch. 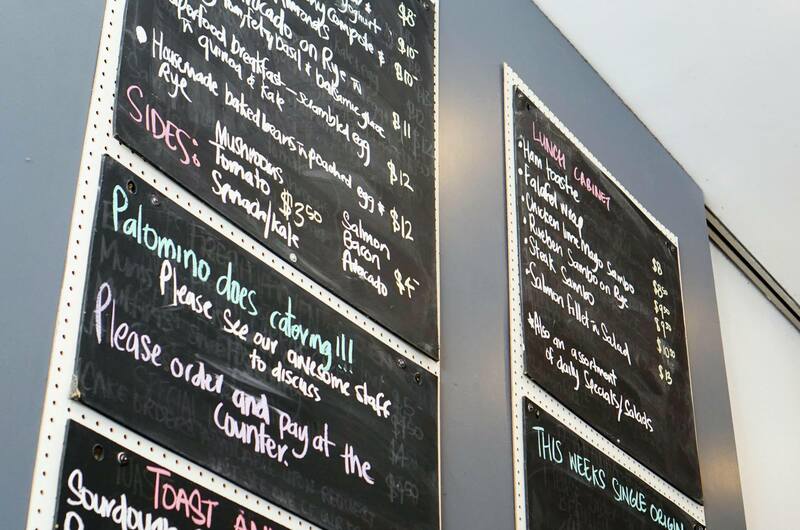 Overall Palomino Espresso is a great place for a little bit of a fancy cafe lunch or brunch, it’s also very popular with the coffee crowd and fills up in the morning. 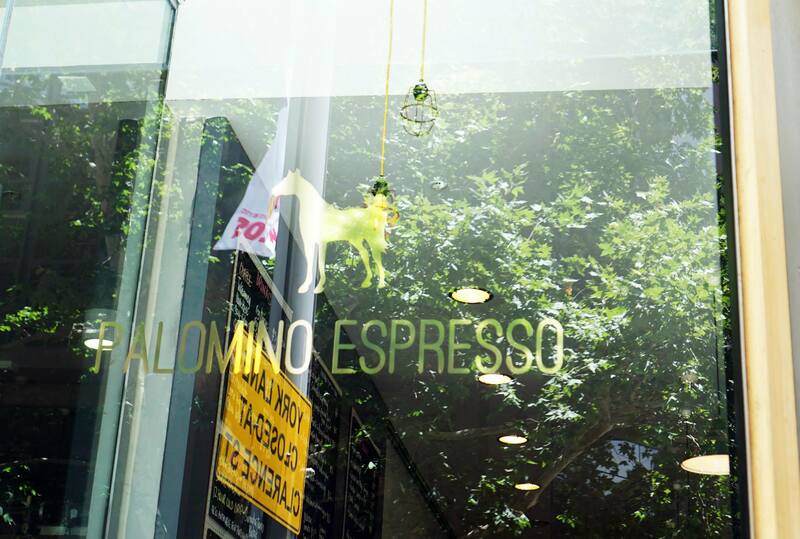 The coffee at Palomino Espresso is actually one of my favorites around Wynyard so I usually grab one whenever I pass by. 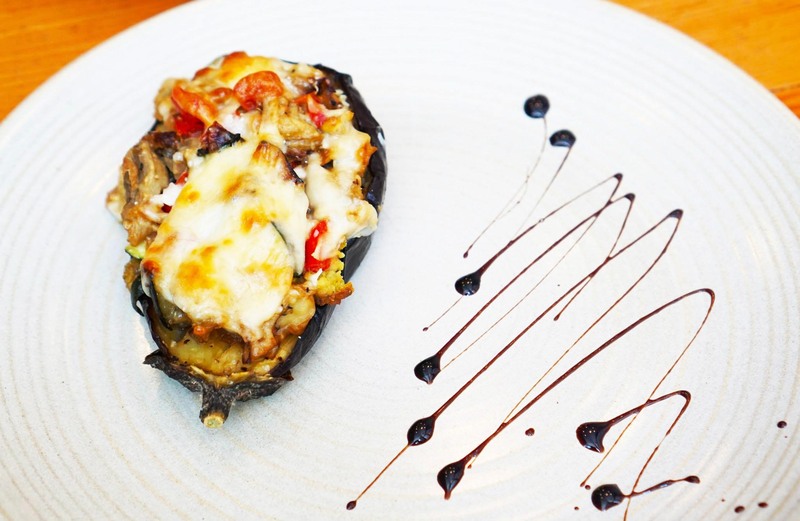 Mmm, I love stuffed roasted vegetables, that eggplant is right up my alley! Looks like a lot going on in that stuffed eggplant! What a great find! And thanks for telling us! i loooove eggplant so will have to visit and try it!